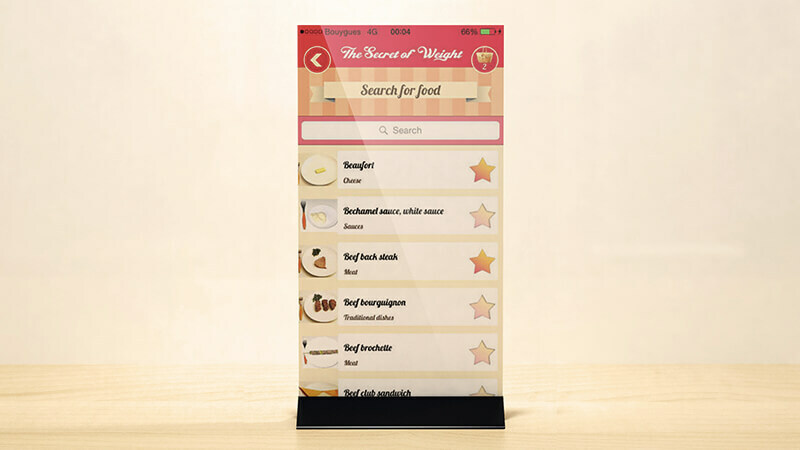 Foods shown in the application's database. % Free ! A new universe that you can not live without. Join the community! Check out the application images. The Secret of Weight (TSOW) is a simple and practical calorie counter based on photos. 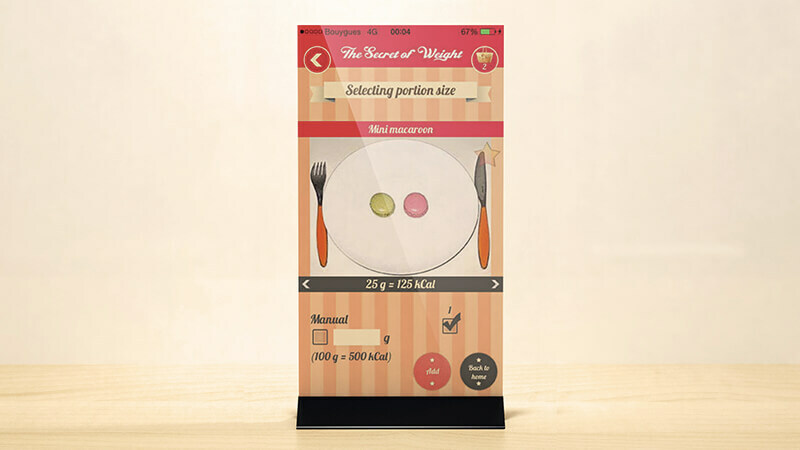 With this fun and playful application, you can either maintain your weight, slim down or even gain weight; it’s all up to you! 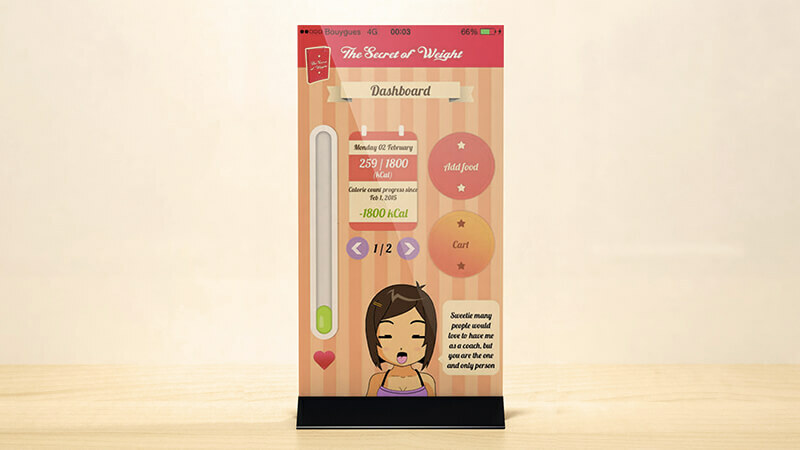 A gauge, a personalized calorie budget and a little character to coach you. Straightfoward explanations for quick understanding. A selection of photos to choose from.